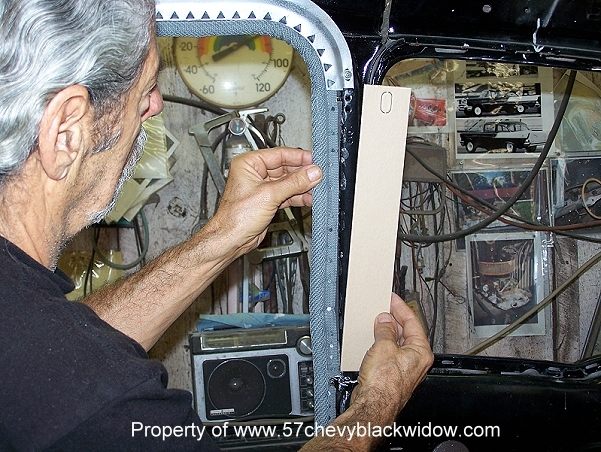 In photos #426 &427 you see "Old Guy Scott" tacking in the windlace. 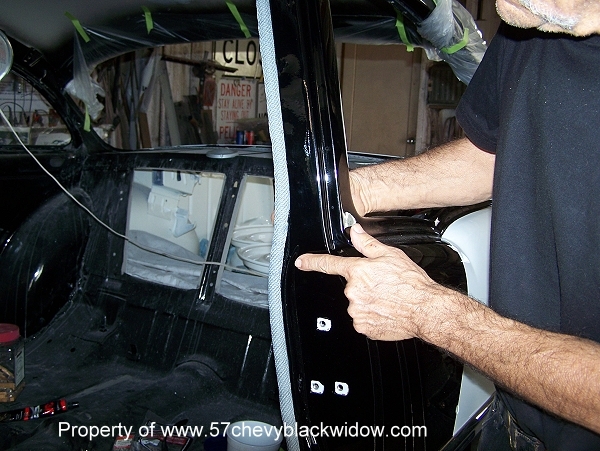 Photo #428 shows how the pillar board will align and add support to the windlace. 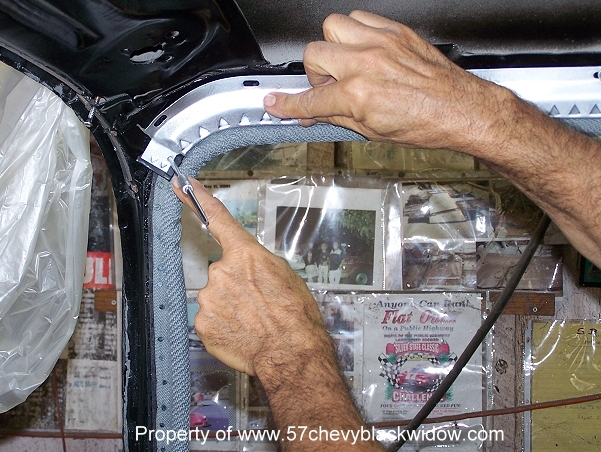 In photo #429 you see how to install the windlace into the kick panel support using a window screen plastic spline. 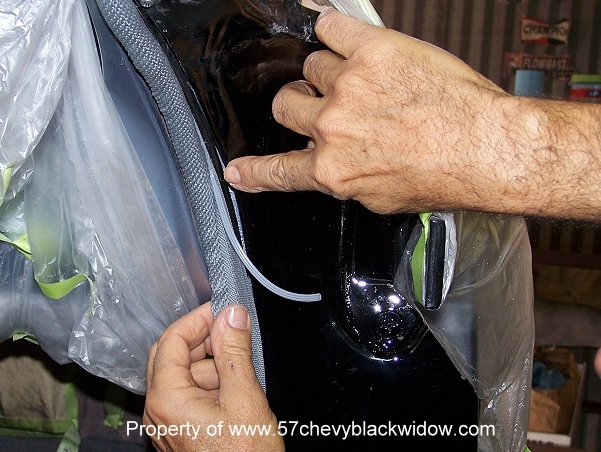 Photo #430 reminds you to make a hole in the windlace webbing for the garnish molding screws.